It's (almost) here! We're working on a WhatsApp channel for you to manage WhatsApp messages as a team in Front. Interested? Fill out our early access form to let us know. 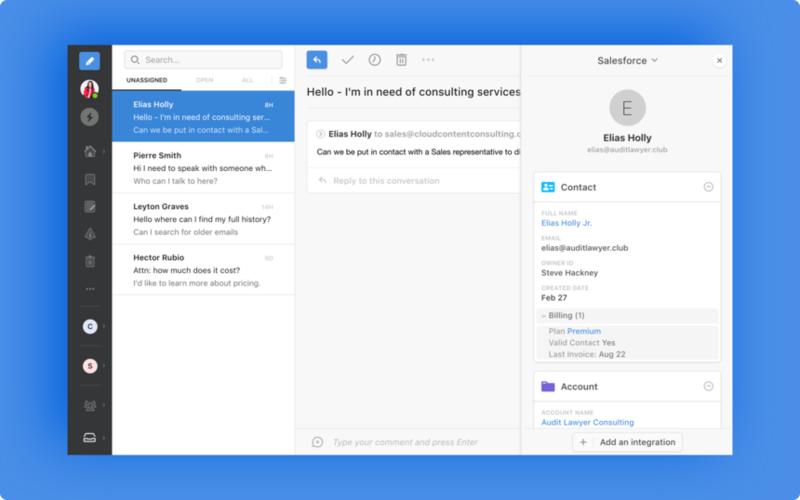 Our best Salesforce integration update yet — now, your Salesforce custom objects are accessible in Front. Choose which fields to display and edit them in real time, just like standard objects. If you use SMTP channels or Google Groups in Front, configuring SPF/DKIM records is critical to ensure your emails aren't marked as spam. Until these records are validated, new warnings will direct company admins to Deliverability Settings to set them up. Have one long thread with too many tags? 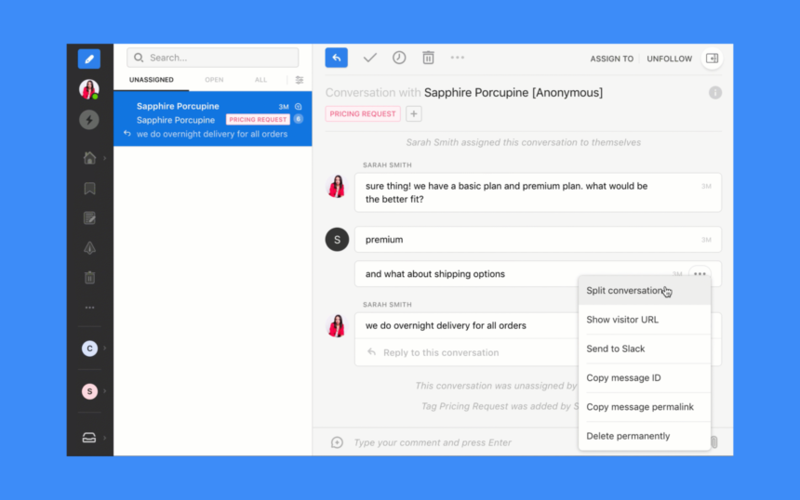 Now, you can split SMS, Front Chat, Facebook, Intercom, and Smooch conversations into separate threads. Keep your tracking clean with different assignees or tags on each thread. 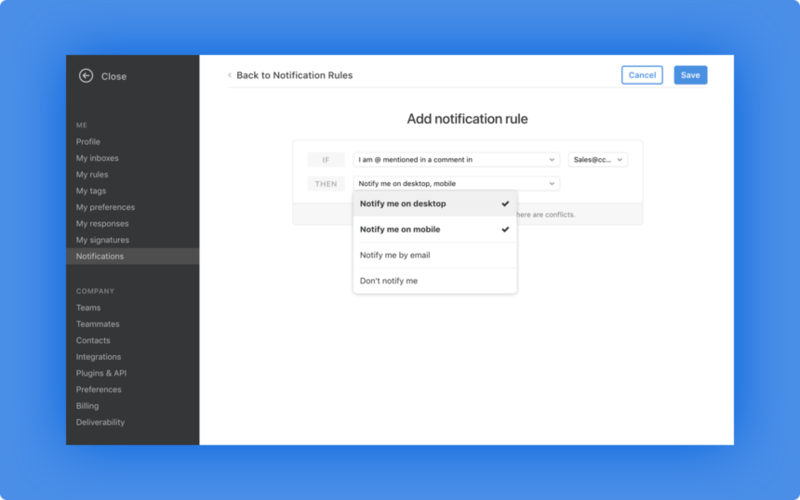 Automatically recognize your logged-in customers with Front Chat’s new identity verification for web and desktop apps. Instantly see who the user is and their status to deliver a great chat experience to every customer. Customize your analytics reports with new filtering options to get more granular insights. 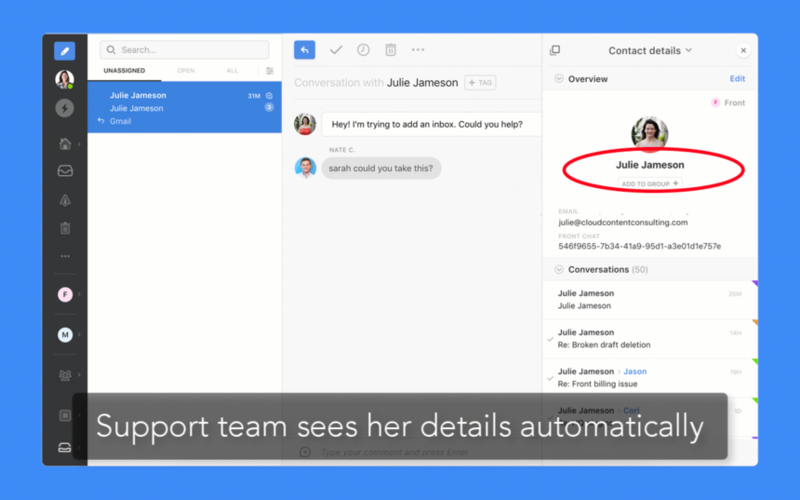 Select any combination of inboxes, channels, teammates, and tags to include only those conversations in your report. Learn how a team of three people serves thousands of companies, from startups to Fortune 500 companies like Walmart, across multiple channels and time zones using Front. Do you know how many emails you receive or how quickly your team is responding? With Front’s analytics, you can get these insights to improve your team’s productivity.